Created by TV writer Dan Harmon, Harmontown is a live podcast that airs weekly from Los Angeles. What began as a short, underground comedy show has erupted into an iTunes chart-topper and national phenomenon. 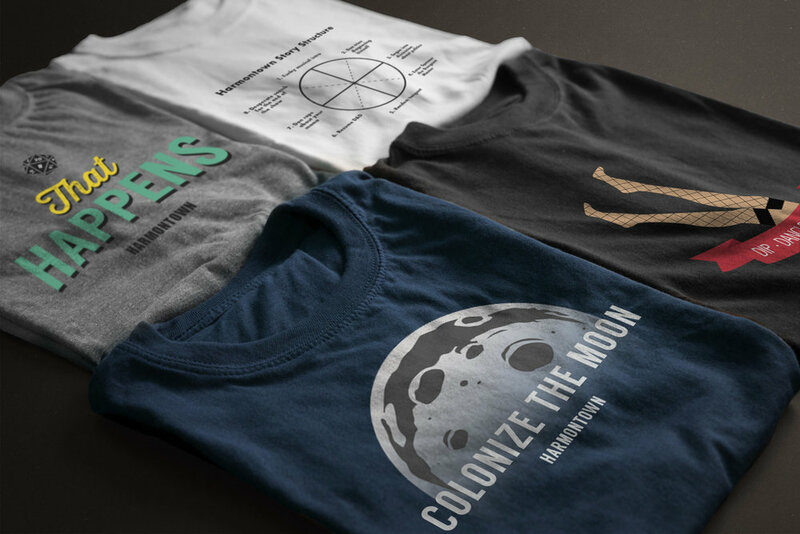 With its growing success, Harmontown's production team sought more cohesive branding elements — including fan merchandise and a sleek website design —to give them a stronger presence in the podcasting community. Designs featuring various jokes and references from the Harmontown podcast.